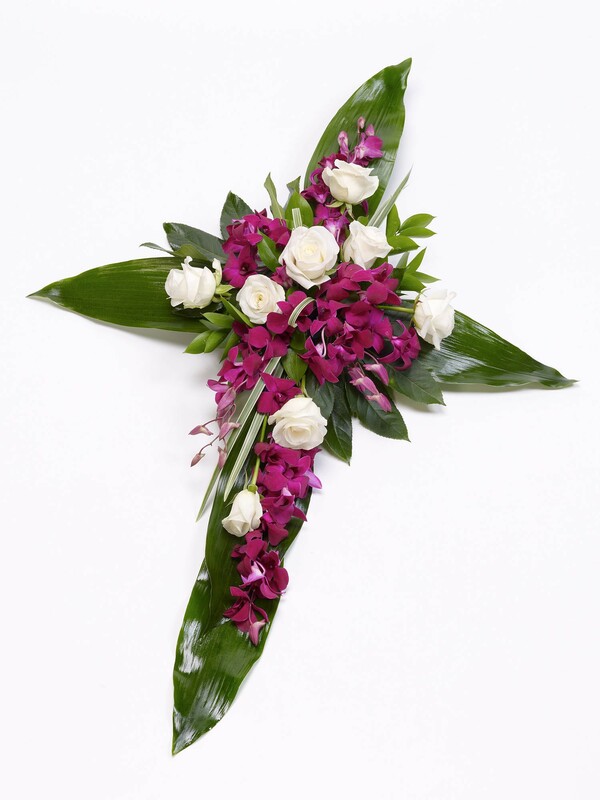 This luxurious rose and aspidistra cross is set to pristine perfection. 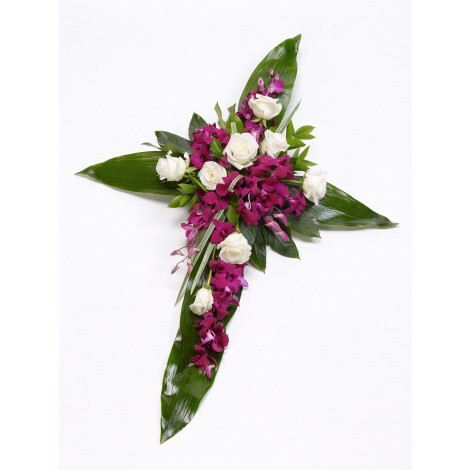 Luxury purple / cerise tones harmonise effortlessly among vibrant, lush greens perfectly accented with pristine, perfect whites make this a naturally beautiful and breathtaking tribute cross. 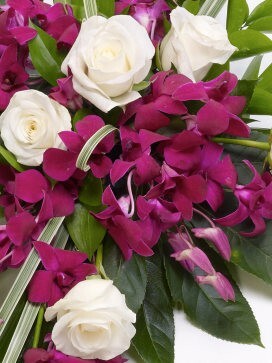 Crafted from only the freshest of blooms featuring; roses and dendrobium orchids arranged on a cross of aspidistra leaves.